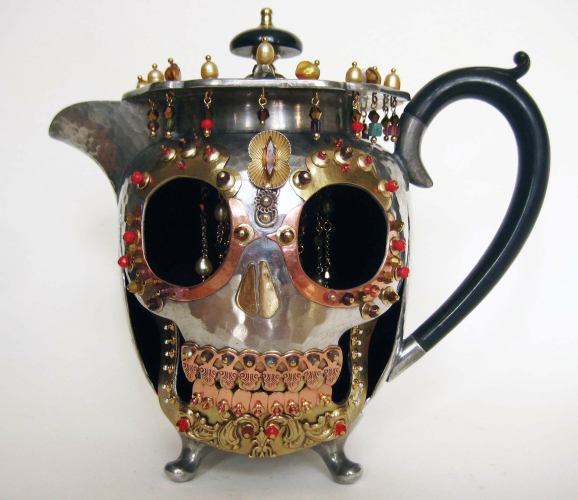 Sculptures made using antique pewter teapots. Some move, some tell the time, some tell a story. They all grew and spilt out, some flew and some slithered. So each one is a step in a direction. Don’t ask me which direction.